Supplement experts always say that you can formulate your own blend of bodybuilding supplement by selecting which supplements you need. Hardly anything in the supplement industry is 100% original, and everything is just a mixed version of another supplement – as with the case of Gaspari Nutrition’s Creatine blend, SizeOn Maximum Performance. 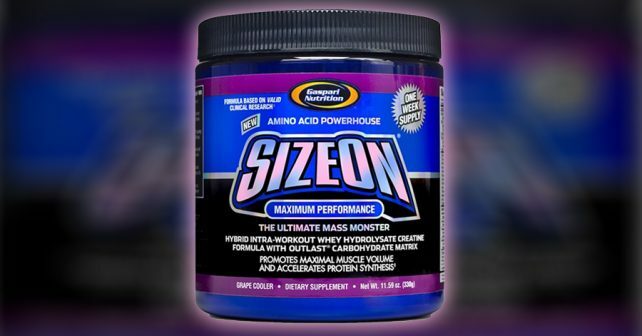 Gaspari Nutrition called SizeOn the King of Creatines, with a formula combining its creatine blend with other bodybuilding supplement ingredients such as whey protein hydrolysates, BCAAs, vitamins, minerals, and carbohydrates. SizeOn Maximum Performance is marketed as an intra-workout supplement to help users stay hydrated while boosting endurance and promoting muscle growth. Creatine is an endurance-boosting supplement. It works by creating storage for regenerating ATP, which is the chemical energy source of the muscles for contraction and quick movements. Creatine helps boost performance and endurance, but it needs ample time to be absorbed by the body, which is why there is always an ongoing debate whether to load up on creatine or not. As an intra-workout supplement, determining how fast a person can absorb creatine would determine the effectiveness of SizeOn as a creatine-based supplement. Creatine supplements can help anyone perform better. Whether you are a powerlifter or a marathoner, creatine supplements will help you improve your performance and endurance. SizeOn is also sold as a tie-in to many of Gaspari Nutrition’s bodybuilding supplements, and customers who are looking to save some money would consider SizeOn as a good creatine option. Gaspari Nutrition’s SizeOn appears to be a powerhouse of supplements, if you consider everything that is in the supplement facts – Whey Protein Hydrolysates, BCAAs, Glutamine – these are just about all of the supplement ingredients you need to build muscle. However, the biggest question is the amount per serving of each ingredient. For the SizeOn blend, which comprises about 63 grams of its 68-gram serving size, everything is packed in, and only L-Leucine (BCAA) has its actual amount per serving listed (4g). We have to assume that protein makes up most of the formula, but without the actual dosage of each ingredient, it would be difficult to assess whether the formula has enough of each ingredient to be effective. 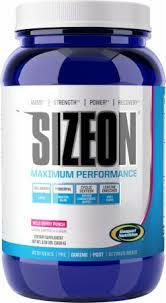 Another potential problem that we have noticed is the intended use of SizeOn as a intra-workout supplement. The ingredients in its supplement profile are not known to be absorbed quickly by the body, rendering them useless during workouts. If anything, the supplement could be considered as a post-workout supplement, given its Creatine, Protein, Glutamine, and BCAA content. The only thing that makes SizeOn an intra-workout supplement is its hydration component, which – in all honesty, nobody really needs. Just keep a water bottle handy or your favorite sports drink by your side and you have all the hydration you need to survive your workouts. SizeOn is a great all-in-one product, but don’t forget to take supplements that will improve your circulation. Take nitric oxide boosters such as NitroGenix 365 to go with SizeOn to take advantage of its hydro-boost properties to increase muscle pump and recovery.